Paul began his career with Celtic, first as a youth before signing professionally in 2015. While with Celtic, Paul was capped at all youth levels, including U19 and U21 level for Scotland. In January 2015 he was loaned out to Stenhousemuir, where he scored on his professional debut against Ayr United, and appeared regularly, helping the Ochilview side retain their place in League One by winning the play-off. During the 2015/16 season he was loaned out twice. Firstly to St Mirren in July 2015, and then to Greenock Morton in February 2016, playing regularly for both sides. In July 2016 he was loaned to newly promoted Dunfermline Athletic, impressing many with his attacking style as the Fife club just missed out on a Premiership play-off place. 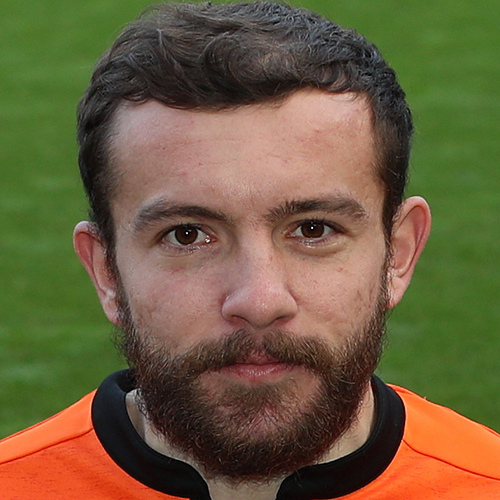 Having returned to Celtic with a year still on his contract, United manager Ray McKinnon worked quickly to bring the winger to Tannadice during the pre-season of 2017-18, with Paul signing a two year deal with United. He started the campaign as a regular in the starting eleven, but was used more as a substitute during the winter months. He came back into the side for the run-in as United finished in a Play-Off spot, and just failed to win promotion to the Premiership. Paul was born on this date in Stirling.